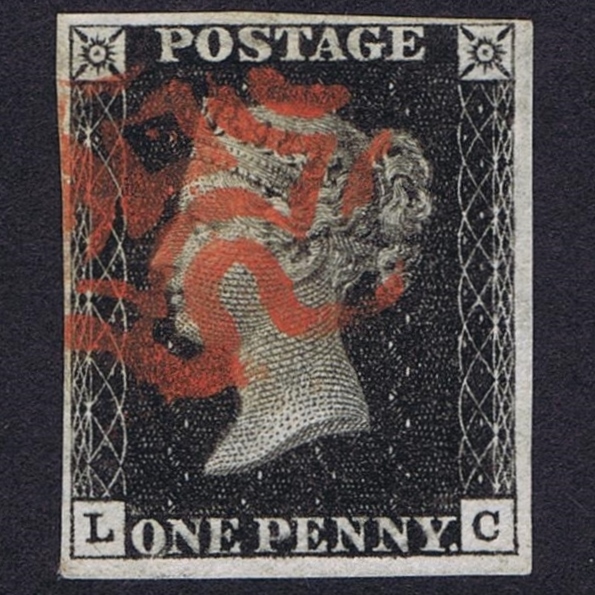 A very fine used 1840 1d Black from Plate 9 lettered LC, with four good to large margins and with a bright red maltese cross – scarce on this difficult plate. Cat. £600.00++.